In support of the CAMRIS-implemented, USAID/Nepal Monitoring, Evaluation, and Learning (MEL) Activity, we seek an Evaluation Specialist for the upcoming Midterm Performance Evaluation of USAID/Nepal’s Global Health Supply Chain – Procurement and Supply Management (GHSC-PSM) project. The purpose of this midterm performance evaluation is to better understand the extent to which aspects of the GHSC-PSM/Nepal Results Framework still hold, determine whether the project is on track to meeting its stated objectives and results, and the project’s capacity to provide quality technical assistance to the Ministry of Health and Population (MOHP) in achieving the national supply chain objectives. This evaluation also will assess USAID/Nepal’s management processes in advancing the project objectives. The findings from the evaluation will be used to strengthen current activities through the identification of course-correcting actions to ensure the project will meet its objectives, develop recommendations for future activities, and provide recommendations to the Government of Nepal and External Development partners in Nepal with evidence of good supply chain management practices. Job Categories: 10+2 / Bachelors. Job Types: Full-Time. 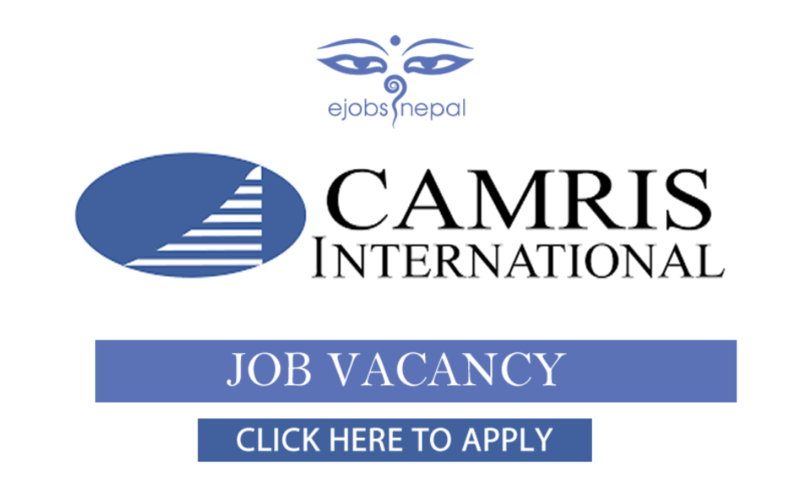 Job Tags: EJOBS, Ejobs Nepal, ejobsnepal, HAMRO JOB, jagire, job vacancy, Job Vacancy For Evaluation Specialist, JOB VACANCY FOR VARIOUS POSITION, Job Vacancy In CAMRIS INTERNATIONAL, Jobs in Kathmandu, jobs in nepal, mero job, mero rojgari, Merorojgari, Nepal, Nepali Jobs, nepalijobs, timro job, and wanted. Salaries: Negotiable.